365 Days of Color Hocus Pocus Collection: Black Flame Candle and I Smell… Children! Hi all! I hope everyone is having a great weekend! Today I have some gorgeousssss Halloween colors to show you- 365 Days of Color’s Black Flame Candle and I Smell… Children! 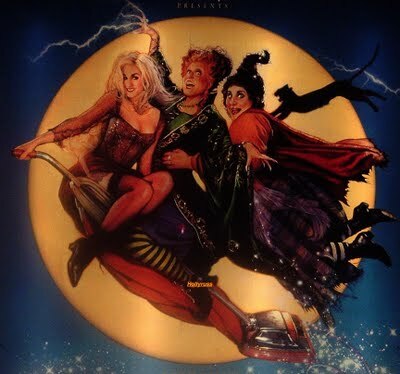 from the Hocus Pocus Collection! Hocus Pocus is my very favorite Halloween movie, so when Sunny said she was going to be creating her Halloween shades based on themes from the movie, I couldn’t wait to see what she came up with! The collection consists of 5 colors: I Smell… Children!, Black Flame Candle, Come Little Children, Boouk!, and I Put A Spell On You. First up, we have Black Flame Candle! Like it’s namesake, Black Flame Candle is well… black! This is a gorgeous black polish with silver shimmer throughout. The consistency is on the thinner and more jelly-like side, and it builds beautifully. These photos are 3 coats on their own, with Poshe topcoat. While writing out this post, I thought that Black Flame Candle may work well for a jelly sandwich, so I quickly tried one out. It works great! 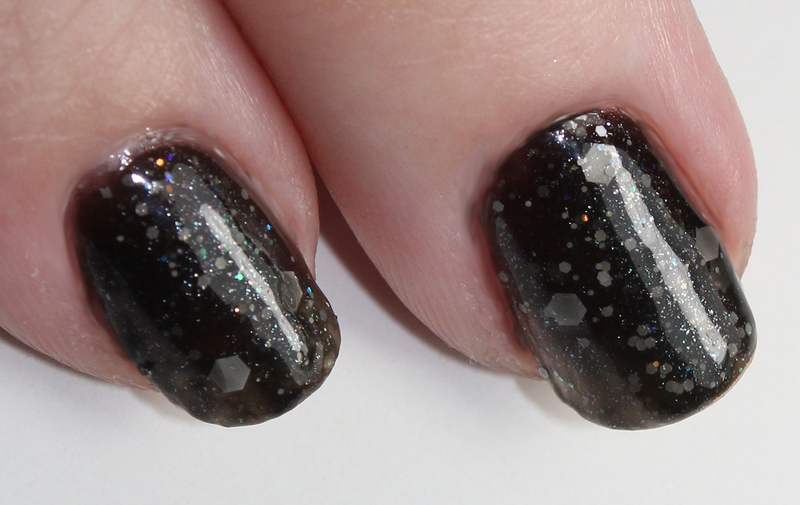 This is 3 coats of Black Flame Candle and 2 coats of a franken of mine (it’s a white glitter mix), alternated. Very pretty! Next, I have I Smell… Children! This color is inspired by Mary (played by Kathy Najimy), who can ‘smell’ children- this helps her sister Sarah lure them in with her hypnotic singing, in order to steal their life essence to keep them young. I Smell… Children! is a beautiful black base filled with purple glitter and shimmer. This is 3 coats of I Smell… Children! on it’s own, with Poshe topcoat. While this is gorgeous indoors- outside in the sun, it’s even prettier! Application on both was wonderful. These polishes are on this thinner side, but that was a very good thing- it allowed me to build them up to full opacity without having a giant polish bubble on my nail! Even my jelly sandwich with 6 coats wasn’t too thick, which I loved! I’d also like to take just a second to RAVE about 365 Days of Color’s Miracle Balms and Cuticle Oils. I’ve purchased 7 Miracle Balms, and 3 Cuticle Oils (not all at once, but over the past few months). These are all amazing! If you stop into the store to buy anything, be SURE to check these out! Sunny has 5 million scents (ok, not really, but I would bet she has around 100), and they are wonderful! The balm goes on nicely and absorbs quickly, and the new oils are really awesome- I love being able to roll the oil right over my fingers! Every scent I own is amazing- my very favorites so far are Lilac & Lilies, Candy Corn, and Orange Sorbet! The photos are all *sample sizes*, if you can believe that! You can get a full size of a single scent- $4 for a 10mL oil, or $3 for a .5 oz balm; or you can get sampler trios (pick 3 scents)- Oils are in 5mL containers for $6, and the balms are in .25 oz containers for $5. The Hocus Pocus collection is going to be released on September 21, at 365 Days of Color’s Big Cartel store. You can follow 365 Days of Color on Facebook, as well as Sunny’s blog! Right now the store is in maintenance mode, but it will open on the 21st when this collection is available! This entry was posted on September 16, 2012 by The Polish Monster. It was filed under Uncategorized and was tagged with 365 Days of Color, collection, glitter, Halloween, indie, indies, jelly, review. Hocus Pocus is my favourite Halloween film too! 🙂 And the polishes look amazing! Stunning colours. 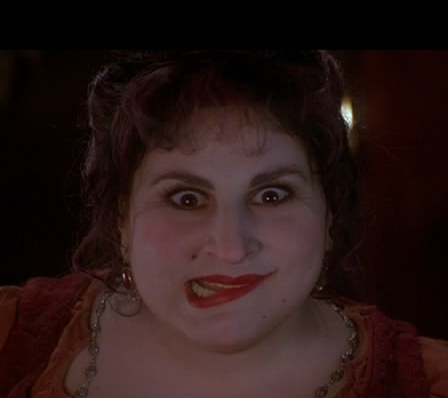 Hocus Pocus is my favorite, as well!! I keep checking the listings to see when it’s on 😀 Love these polishes! Gorgeous!! Very well done. Nice Polishes and I’ve heard much about the oils and balms. Might have to get them soon. Lizzy- definitely give some a try! They’re not too expensive and I really love them! I wouldn’t say they’re more amazing than other balms out there- they do their job well, but a lot do. What blows me away is the sheer amount of scent choices! 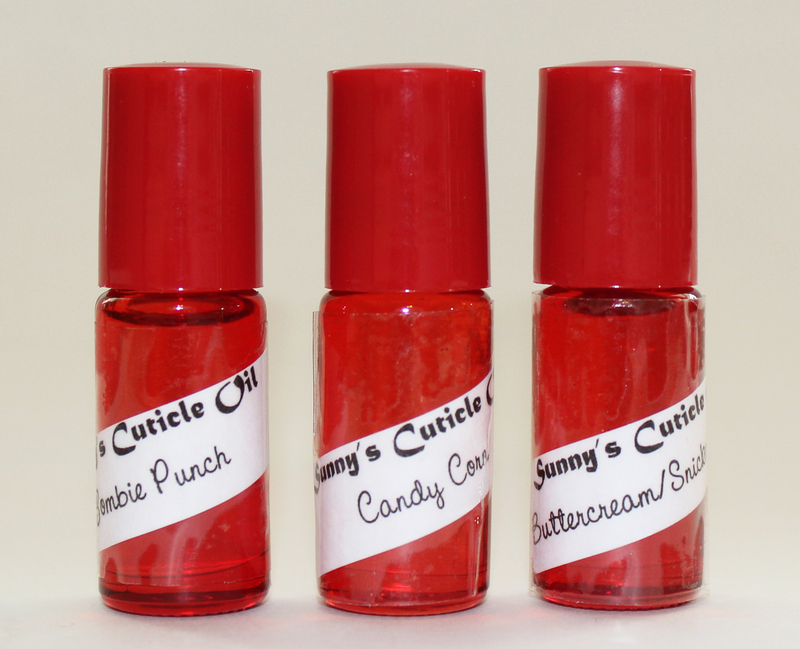 And she mixes to order, so you can always go a little crazy and request she mix 2 scents to make a custom one!